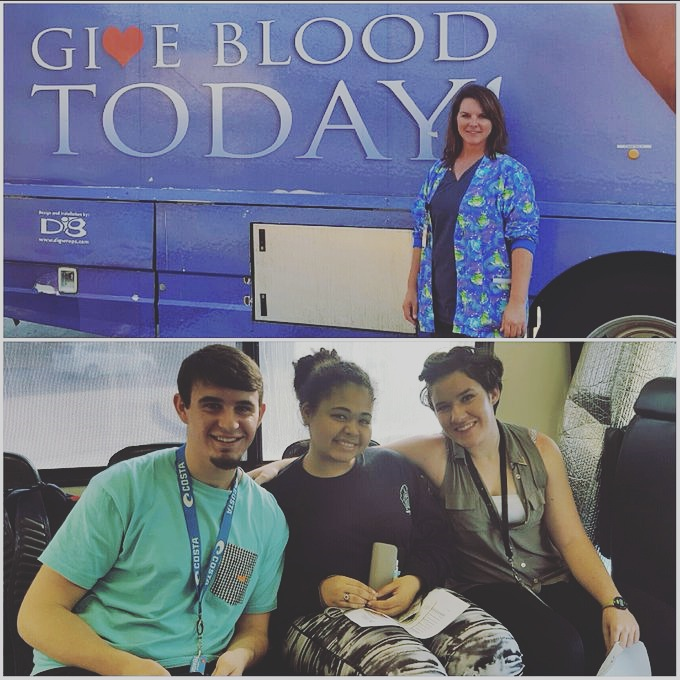 On November 3rd, a blood drive was set up at Mississippi School of the Arts by Robin Brinson (MSA registered nurse) to allow willing students the opportunity to donate blood for the Mississippi Blood Bank. The program, by Mississippi Blood Services, has saved thousands of lives all because of donors like our students at Mississippi School of the Arts. At the MSA blood drive, a total of 22 units of blood were donated to the cause. Students who donate blood two times during their school career at Mississippi School of the Arts will receive a red cord at graduation. For more information on how you can set up a blood drive in your area, simply contact Mississippi Blood Services.